Prolific singer/songwriter Phil Wickham continues to gain momentum with his modern style of vertical worship and poetic lyrics. Leading corporate worship nationwide, Wickham, known for hits such as 'Divine Romance', 'After Your Heart' and 'True Love', describes the daily truths he is learning with a tender yet poignant voice and a passionate cry of worship. 'Heaven and Earth' finds him creating melodies that are infectious with contemplative and honest messages of surrender and abandon. 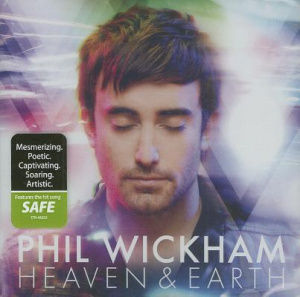 Heaven and Earth by Phil Wickham was published by Fair Trade Services in November 2009 and is our 500th best seller. The ISBN for Heaven and Earth is 0000768468920. Reviewed by Paul - Music keeps me afloat - Norfolk. This worship album has it all. Great message, superb vocals and music. Great energy flowing through all the songs. If you like John Waller, Lincoln Brewster, Curtis Chapman etc. This is for you! Got a question? No problem! Just click here to ask us about Heaven and Earth. Now Playing: Eden Your browser does not support the audio element.